Hof Ter Loo, Amsterdam discount hotels and accommodation. 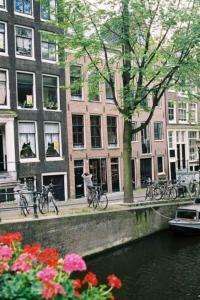 Hof ter Loo is a small hotel in the Jordaan, beautifully located at the Lauriergracht. All rooms have their own shower, toilet, safe, small fridge and television. View photos, room descriptions and make online reservations at Hof Ter Loo. Save on room prices at Hof Ter Loo, Amsterdam.